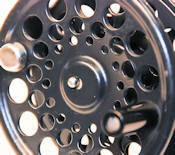 New fishing equipment with fewer of your dollars out of your pocket! That's what we are all after. Sometimes, in order to keep peace in the family, we like to show that we are willing to part with a few old, used items and only bring one or two new, bright, shiny items back into the house. That's what the FlyMasters TradeUp Program is all about. The TradeUp Program takes your under-utilized equipment, not necessarily just fly fishing gear, and sells it for you on eBay. 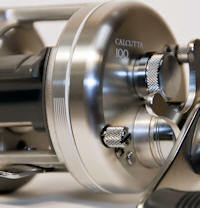 We do not limit items sold under the TradeUp Program to just rods & reels. 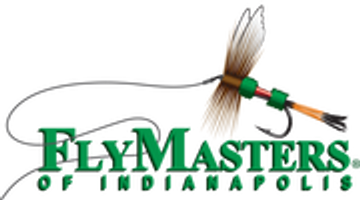 You receive store credit at FlyMasters of Indianapolis for the entire proceeds of the eBay auction less eBay fees and PayPal fees. The fee structure at eBay & PayPal is a complex, sliding-scale fee schedule. For your guidance, we estimate fees to be generally in the area of 12 – 15% depending on sale price. All of our FlyMasters TradeUp auctions are sold with the buyer paying additional shipping charges. FlyMasters does all of the work, and, and you get all of the net proceeds to use to buy new equipment. We will evaluate your under-utilized equipment for inclusion in our program, clean it, shine it & spit-polish it, research the item, and create a well-done, professional eBay ad just for your item. 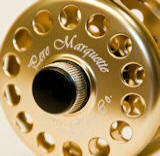 In addition, we will manage the auctions, collect the money and ship your item to the new owner. What do we get for our efforts? - We want you as a satisfied, regular customer. We represent and stock all of the best brands in the business. We expect to gain from our future sales to you. You could do all of this yourself, but why? - FlyMasters takes nothing off the top. You get the same amount in store credit as you would get if you did all of the work yourself. In addition, we have learned a lot of lessons from our years of experience on eBay, and we put them to work for you. Generally, that amounts to higher prices for your item and more money for you to spend on new equipment. If you are within easy reach of our store on the Northeast side of Indianapolis, Indiana, come to our store with your equipment to have us evaluate it for inclusion in our FlyMasters TradeUp Program. If you are not able to easily get to our retail store in the near future, email I will respond with the required form and directions on how to proceed. 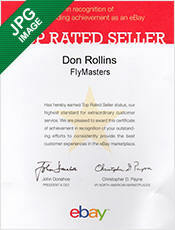 If you have questions about the FlyMasters TradeUp Program, call me at 317-570-9811 or email at FlyMasters. Pick out some of your little-used items today and try our program. I think that you are going really like our FlyMasters TradeUp Program. You do not have to live nearby to participate in our FlyMasters TradeUp Program. 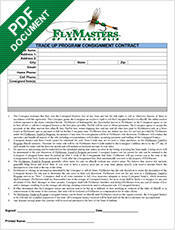 Simply print out a copy of our FlyMasters TradeUp Program contract and fax it, email it, or snail mail it to us. Then send us your item(s) and we will take care of the rest. Also, take a look at what we currently have for sale in our FlyMasters TradeUp Program auctions and for sale in our FlyMasters eBay Store. This will give you an idea of the products that we are currently selling and how well. You will need a PDF document reader in order to print out the contract. Take a look at what we currently have for sale in our TradeUp program. This will give you and idea as to the kinds of products we sell and how well we are doing.